for less money than you spend on your morning coffee. Inspiring Possibilities provides services for individuals in our community with special needs NOW. 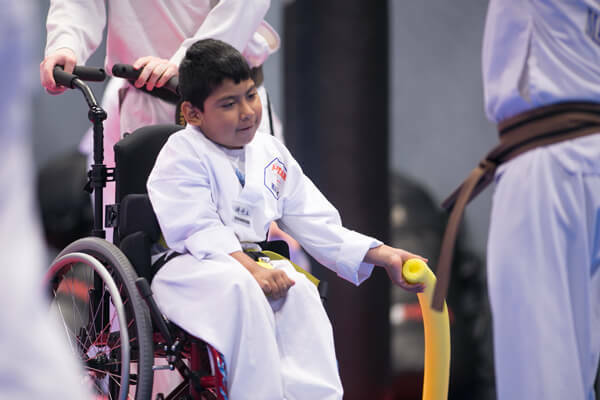 To address the urgent need for programs in our community, Inspiring Possibilities, a 501(c)(3) nonprofit, combines adaptive Martial Arts with components of physical fitness, occupational and physical therapy, and social-emotional health. These are the kinds of services that Texans are waiting for. 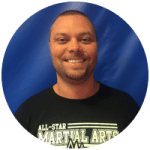 We’ve partnered with All-Star Martial Arts and Fitness. Instructors who work with our special needs students are dedicated to development of each individual. They are provided continuing education on the techniques, strategies and conditions unique to each student. 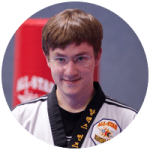 One day all individuals with special needs will feel the confidence that comes from achieving a personal best through martial arts. We’ve helped over 125 students. Damian loves karate! It gives us such Joy seeing him interact with the Instructors and other students. He likes to show us what he learns in class. He knows we go to karate on Tuesdays & Thursday’s and his face lights up!! 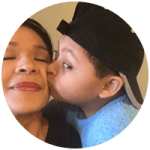 Damian has fun and at the same time, it helps strengthening & discipline. Such an Amazing program to be a part of! Being able to offer a program for individuals with special needs and challenges has been a blessing for our school. To be able to see the way that these kids and their parents attack life with such enthusiasm and positive energy is an inspiration and reminder to all of us here that we need to push ourselves to get the most out of what we have been given. 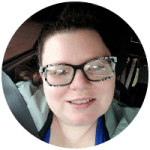 So many see the limitations that special needs students face, yet fail to realize their gifts. These are some of the hardest working and happiest people I've had the honor to work with. Their lives, their efforts are inspiring and it's a privilege to be able to work with this amazing group of people. I love class, it is so much fun! I get to let me anger out! The coaches are fun and helpful. 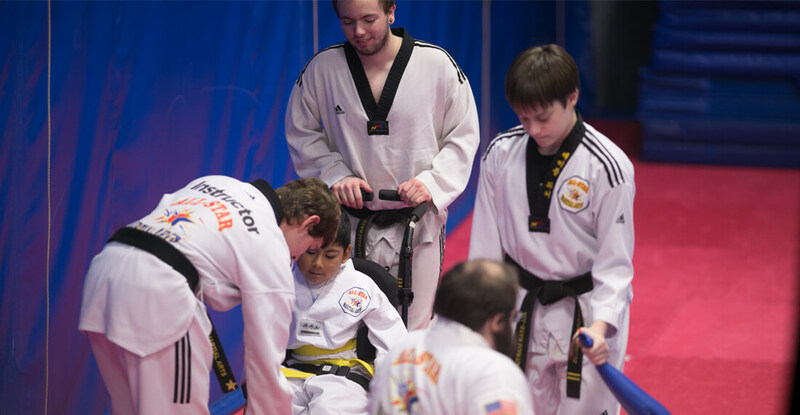 Camaraderie, a sense of belonging and accomplishment - these are synonymous with participating in sports, but the barriers for individuals with disabilities are higher. 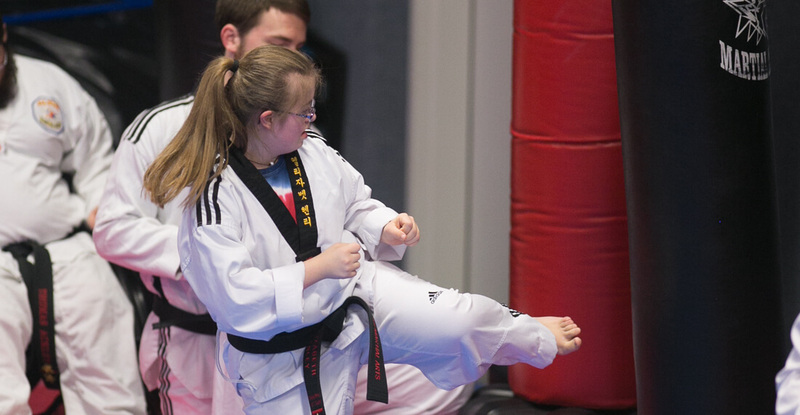 Adaptive Martial Arts removes those barriers. 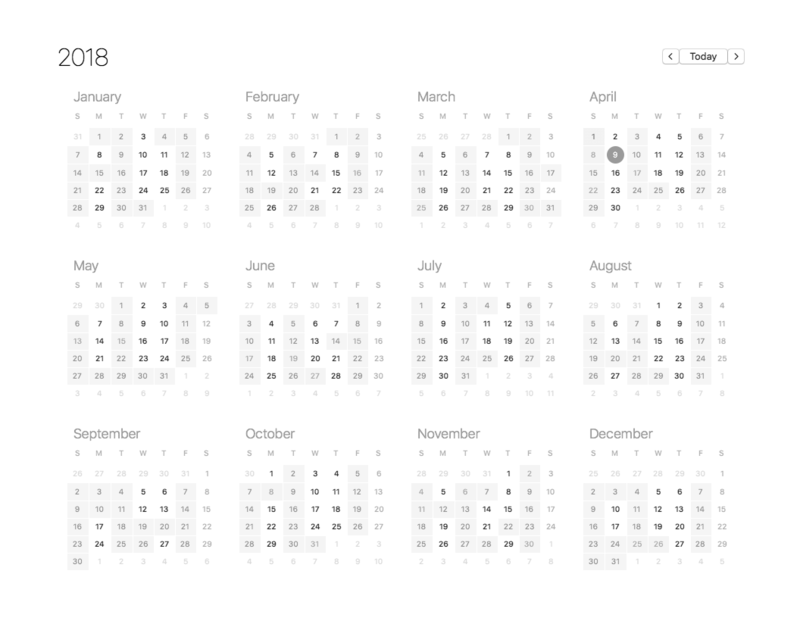 Individuals that live with disabilities thrive on repetition. 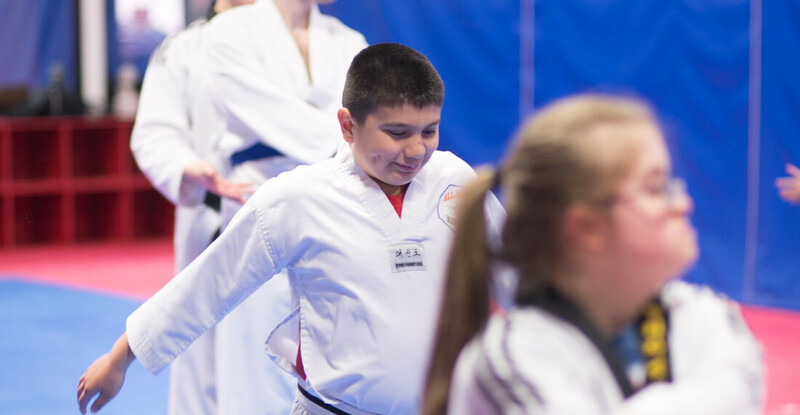 The disciplined consistency of Martial Arts allows students to practice and demonstrate focus and emotional/behavioral regulation in and outside of the gym. Physiological benefits of Martial Arts include cardiovascular and muscle endurance, flexibility, coordination, muscle tone, motor planning, self-defense, balance and spatial awareness. Because everyone can achieve their personal best. 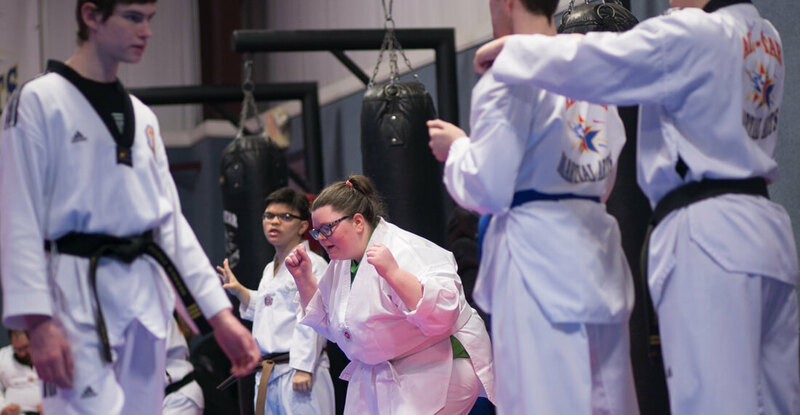 Our mission is to develop empowering connections between martial arts and individual goals that encourage confidence and physical fitness in the lives of individuals with special needs. Site Design & Hosting by Johnnyo Design.